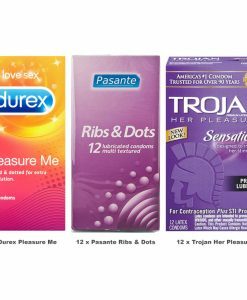 When you think of Trojan, you immediately think of a company that has produced quality condoms for years and years. Their expertise in the field is legendary. They know what their customers want and need. Thus, they offer the Trojan Magnum XL. As the name implies, this is a condom of above-average dimensions. 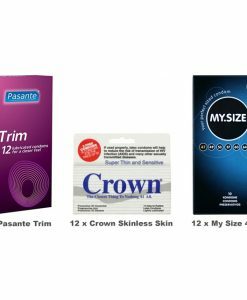 It has been designed for those men who feel that regular or even larger-sized condoms are too small. 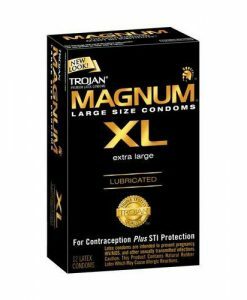 Magnum XL’s are a generous 30% larger than a standard condom. They are tapered at the base for a secure fit. A silky smooth lubricant provides comfort and sensitivity. This condom is clear and smooth and features a reservoir tip for extra safety. With a length of 8.07” (205 mm), the base is 54 mm in width for a super snug fit. The width at the shaft and head is 65 mm and the thickness is .07 mm. 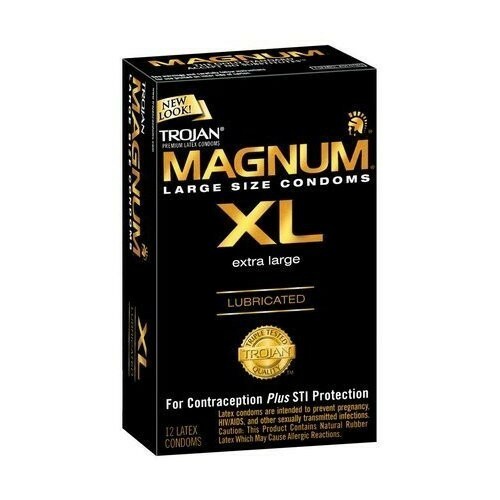 Because of the dimensions of this condom, men who normally use a standard size Trojan are warned against using this product because of the likelihood of slippage. You can trust Trojan as thousands of men have done for over half a century. Looking for something even larger? Try our NEW My Size 64mm for more length and a wider base.